We picked up some groceries before heading to the baseball game & saved a ton of $! We’re asked pretty frequently how we can afford to travel so much. Our philosophy is that travel doesn’t have to be expensive. While we enjoy an occasional visit to an all-inclusive beachfront resort (who doesn’t?!? ), most of our travel involves minimizing each trip’s budget in order to maximize the number of trips we can take. 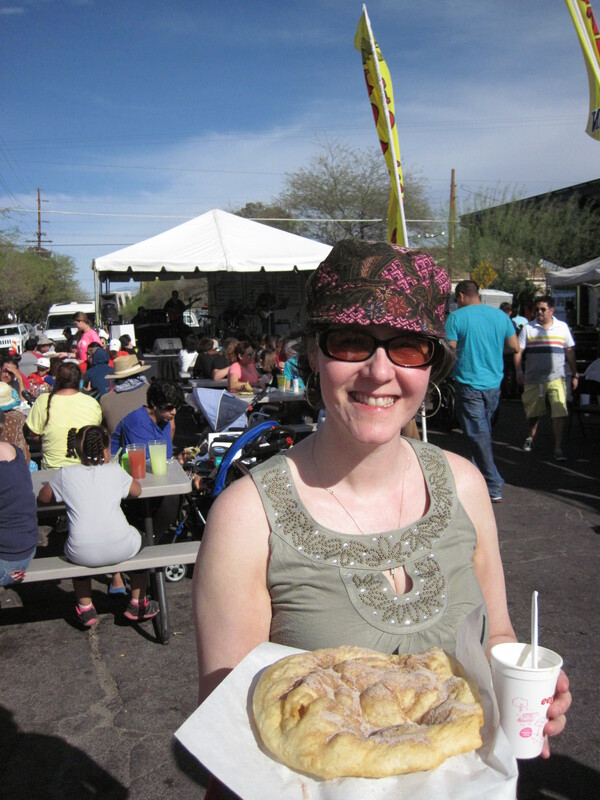 One way we stretch our travel dollars is by enjoying an inexpensive meal while on the road. While some travel for the food, we tend to travel with our food. Yep, we bring it along. Whether it’s a roadside stop for breakfast, a picnic lunch with a view, or a simple homemade dinner in lodging with a kitchen, we try to minimize our food costs in order to maximize our travel budget. 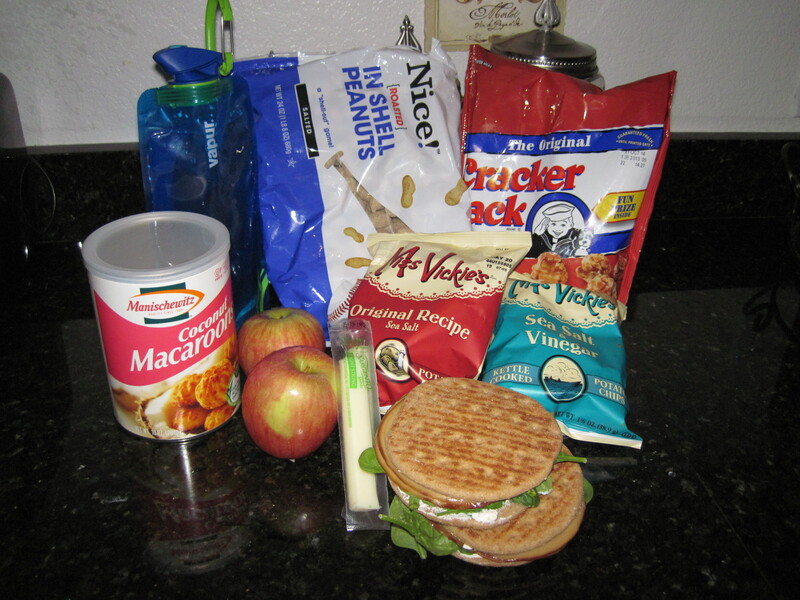 Before we leave home, we pack some non-perishable snacks and food items. If we’re hitting the road or headed to the airport, we’ll pack sandwiches to ensure that our first meal’s on the cheap. Granola or protein bars, nuts, apples, string cheese, peanut butter pretzels, crackers, and carrots are a few of our go-to travel snack items. While not as thrilling as a restaurant meal, these are all foods that we enjoy. For the price of one restaurant meal, we can pack enough food to get us through a couple of meals and still have some leftover snacks. Once we’re at our destination, one of our first stops is a grocery store. We’ll pick up picnic items for lunches, beer and/or cocktails for our own happy hours, a few more snacks, and groceries for a few dinners. Depending on which corner of the country (or the world) we’re in, a grocery store offers its own style of sightseeing and hopefully a few local culinary twists that can offer some souvenirs for your taste buds. Snacking in the parking lot on a road trip! Another travel staple – our own budget happy hour! We tend to book lodging that has a kitchen. Rooms with kitchens are sometimes more expensive than basic hotel rooms, but we’ve noticed two things in our travels: first, some budget accommodations with kitchens are actually cheaper than rooms from hotel chains, and second, even if our room with a kitchen is a bit more expensive, preparing a few of our own meals winds up saving us money over the course of our trip. For breakfast, it’s usually yogurt & granola spiced up by sitting outside with a great view, writing a few postcards, or going over the day’s itinerary. For lunch, it’s sandwiches or a variety of hearty snacks. For dinner, we’ll do a few simple meals (pasta, soup, and pizza, for example) that are easy to prepare, are tasty, and don’t require a lot of clean-up. We are on vacation, after all! 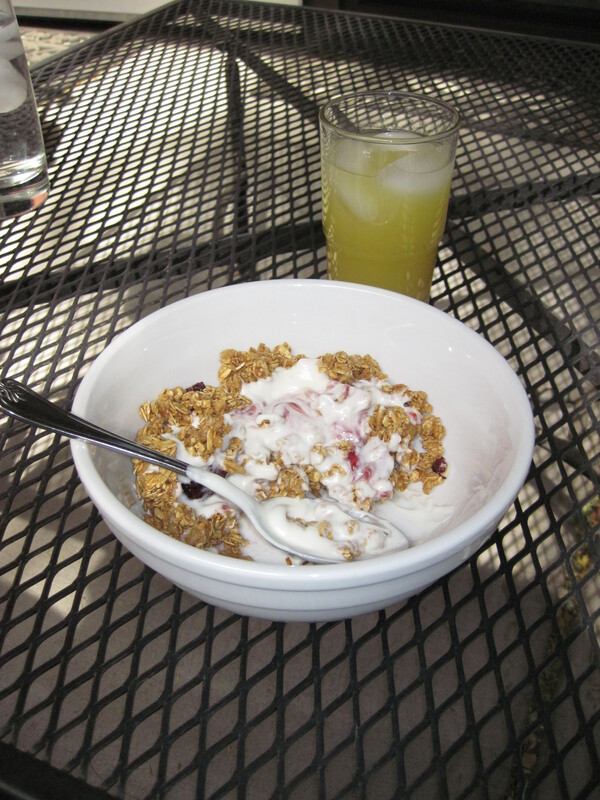 Our go-to travel breakfast: yogurt & granola! Those simple meals help us to appreciate — and be able to afford — a dinner or two out on the town, a stop for a fancy cocktail, or dessert at a local hotspot. That ice cream cone tastes a lot better after eating pasta sauce out of a jar than it would after a perhaps too-filling (and too-expensive) restaurant dinner! Saving on meals leaves $ in the budget for some tasty treats! How do you stretch your food budget while you travel? Leave us a note in the comments and enjoy your week or your weekend!